The chief executive of Volkswagen says Germany should reduce subsidies for diesel cars and ban heavily polluting vehicles from its city centers. "We should question the logic and purpose of diesel subsidies," said CEO Matthias Mueller. "There should be a gradual shift in the tax incentives, the money can be invested more sensibly to promote more environmentally friendly technologies." Mueller's comments, made during an interview with the newspaper Handelsblatt, underscore the German automaker's dramatic shift away from diesel after it was caught rigging emissions tests. The scandal, which erupted in 2015, has exposed the company to charges that its dirty diesels are to blame for air pollution problems in Germany and beyond. Consumers were given tax breaks both on purchases of cars and diesel fuel. According to the Overseas Development Institute, a think tank based in Britain, diesel subsidies in 11 major European countries including France and Germany totaled €21 billion ($25 billion) between 2014 and 2016. The tax breaks help explain why about 41% of passenger cars in Europe use diesel, according to data from the European Automobile Manufacturers' Association. Volkswagen (VLKAY), the world's largest automaker by sales, had long championed the technology. But the company is moving aggressively to ramp up its production of electric vehicles in the wake of the diesel emissions scandal. "Reductions in diesel subsidies and incentives for electric cars would certainly send the right signal," Mueller told Handelsblatt. In some major German cities, calls to ban diesel cars entirely are gathering strength. Mueller said that outright bans are not the answer. But the CEO said he supported proposals that would prohibit cars with elevated nitrogen oxide emissions from entering city centers. Ferdinand Dudenhoffer, a professor at the University of Duisburg-Essen, cheered the statements from Mueller. "Diesel is not the future, but the past," he said, estimating that Germany would collect an extra €8 billion ($9.4 billion) a year in tax if diesel incentives were eliminated. 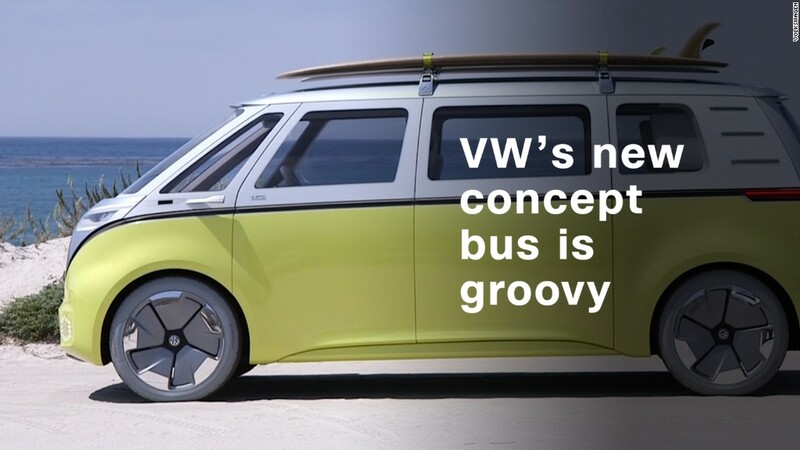 Volkswagen is now pouring investment dollars into hybrid and electric vehicles. The company announced in September that it will spend more than €50 billion ($59 billion) on battery cells as it pushes to electrify all 300 models in its range by 2030. "We have got the message and we will deliver. This is not some vague declaration of intent," Mueller said at the time. "The transformation in our industry is unstoppable." The European Union is in the process of approving new rules that will allow it to impose fines of up to €30,000 ($35,000) per car if automakers break emissions laws. -- Mark Thompson and Ivana Kottasova contributed to this report.